After launching the Vivo V7+ in September, the Chinese smartphone manufacturer has announced a new device called Vivo V7. The new device is an actually smaller variant of the V7+, let’s check out the specs sheet. 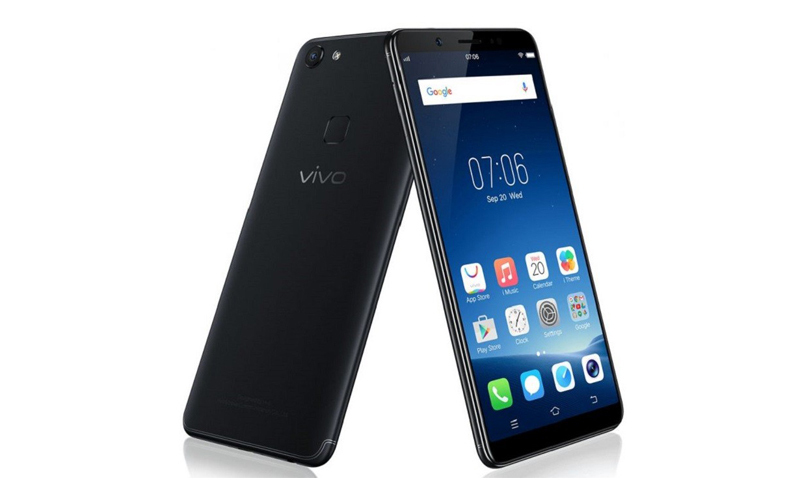 The Vivo V7 comes with 5.7 inch FullView display with 2.5D curved glass and Gorilla Glass protection, and having 1440 x 720 pixels resolution. It is powered by octa core Snapdragon 450 processor and the device is paired with 4 GB RAM, along with Adreno 506 GPU. It has 32 GB internal storage and can be expandable upto 256 GB via microSD card. Speaking about the camera department, it has 16 megapixel with PDAF, f/2.0 aperture and LED flash. And the device has a 24 MP with f/2.0 aperture, Beauty Mode and LED Flash. The device has dual Nano SIM support with 4G LTE connectivity, it also features Fingerprint Scanner, Face Access unlock and Hi-Fi Music. The device runs on Android Nougat v7.1.1 with the skin of Funtouch OS 3.2, and the smartphone is backed on 3,000 mAh battery. The device will be available in Matte Black, Gold colour options. 3,799,000 Indonesian Rupiah (approx. ₹18,300). And it will be launched in India by next week. So, what’s your thoughts about the device?? ?